The chance to feel and size the crays and learn more about Western Australia’s crayfish conservation efforts. 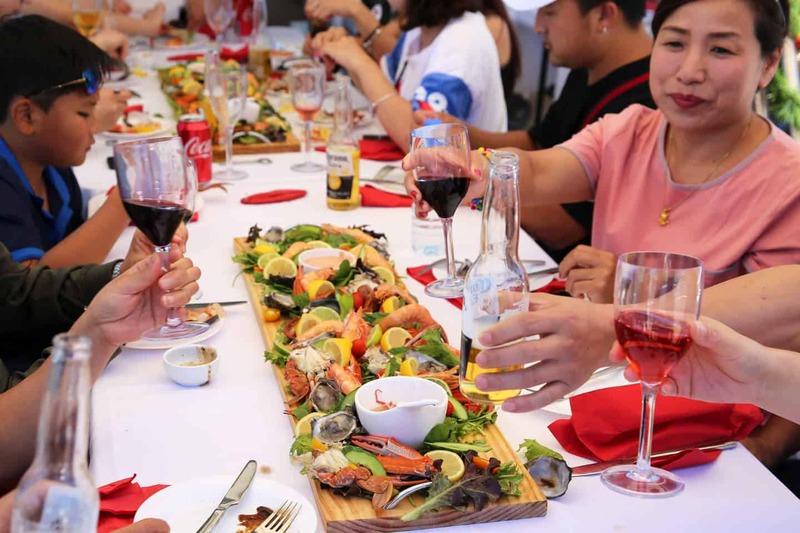 A delicious barbecue seafood buffet lunch, including your freshly-caught crayfish (minimum half a crayfish per person) and other local seafood delights – live oyster shucking, BBQ teriyaki fish fillets, blue swimmer crabs, salmon, marinated octopus and seafood skewers. A selection of local wines, beers and soft drinks. 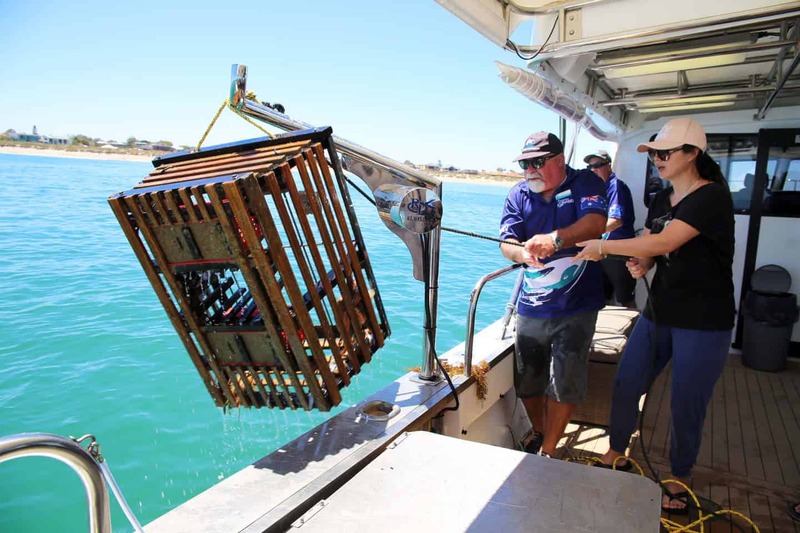 Your seafood lunch cruise will be served while exploring Mandurah’s beautiful canals and waterways, where you may well be lucky enough to spot wild dolphins, pelicans ospreys and other birdlife. Note: This tour is not suitable for children under the age of 5. For children, we recommend our Catch & Eat Crab Tour which operates in the shallows of the Peel Inlet. If booking within 24 hours prior to cruise, please call our booking office on 9581 1242.